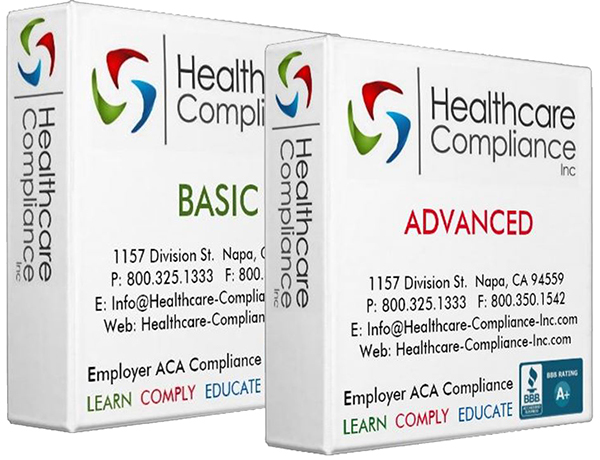 The Complete Employer ACA Compliance Manual: What's In It & How to Use It | ACA Reporting Service | Obamacare Compliance | Health Care Compliance Inc.
On October 17, 2013, Healthcare Compliance Inc. launched The Complete Employer ACA Compliance Manual. It is a reference guide, specifically designed with the business owner/employer in mind. It belongs alongside your OSHA binder and your ERISA compliance documents. It is a system that organizes the ACA into bite -sized pieces and hand-carries the business owner/employer through the process of: learning, complying, educating and documenting. It is a subscription, due to the ever changing aspect of the law which will continue to evolve for years to come. COMPLY Tab – Printed on red paper, comply section is divided into Basic and Advanced. COMPLY (Advanced) is for companies with ≥ 50 FT and FTE employees and contains the compliance provision specific to the large employer. EDUCATE Tab – Printed on blue paper, educate section addresses employee education, communication, compliance, including ERISA, and documentation. YOUR STATE Tab – Printed on gray paper, your state addresses the level of participation by your state government particularly as it relates to the ACA Exchange provision and the accessibility of qualified health plans to individuals. Quick View/Abridged section and Flow Charts, in many cases, will be enough information to guide you. For those who seek more information, the Summary and FAQ (on each provision) will take your knowledge to a higher level. For those who need more technical information, inquire about the “HCI Rules and Regulations CD”. The CD contains the actual law as written by the legislative branch and other federal (or state) agencies or departments.